Vitoe (Nyctipithecus felinus.) 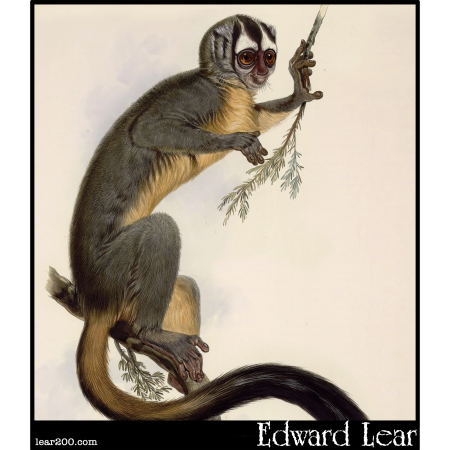 | Edward Lear: Two Hundred Years of Nonsense! Vitoe. (Nyctipithecus felinus.) Today it is called an "Owl Monkey" or "Night Monkey".